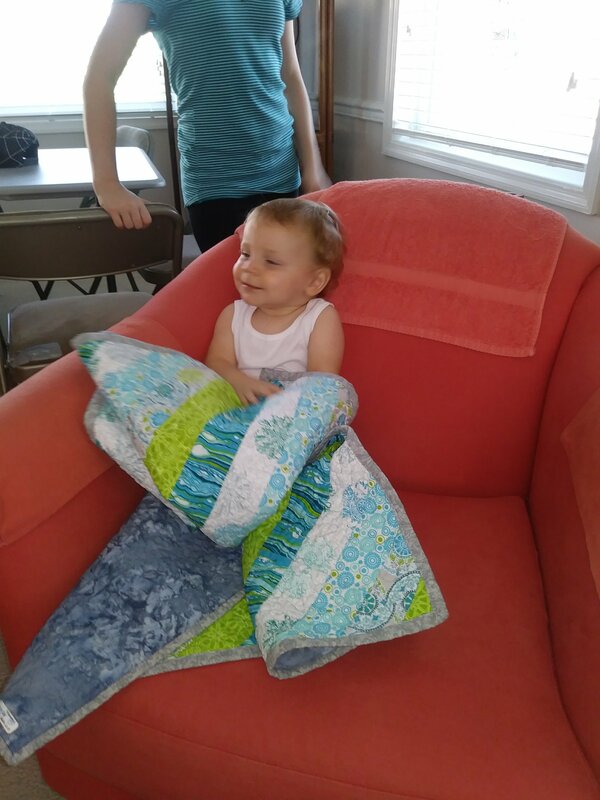 So there was another trip to North Carolina for the annual family beach weekend, and that meant quilt deliveries. Since you’ve seen the tops, please allow me this opportunity to show off some of my kids and grandkids! This is my middle son, holding up his nephew’s quilt. 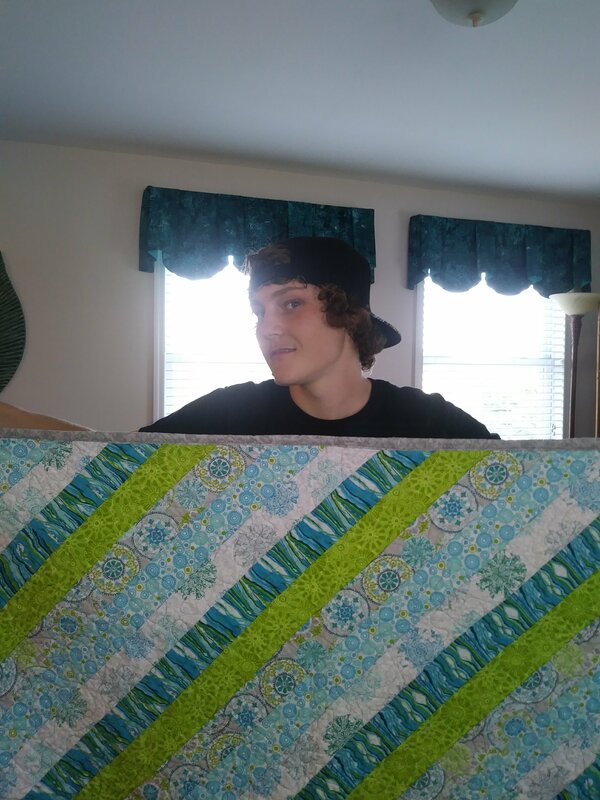 And this is my grandson, playing peek-a-boo with me using that same quilt. I think he likes it! 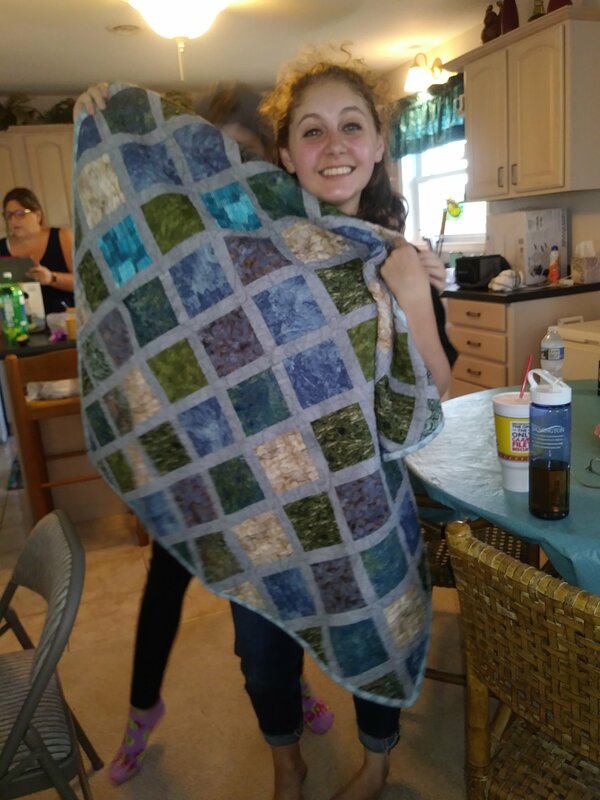 Middle daughter, mother of grandson, holding up his second quilt. 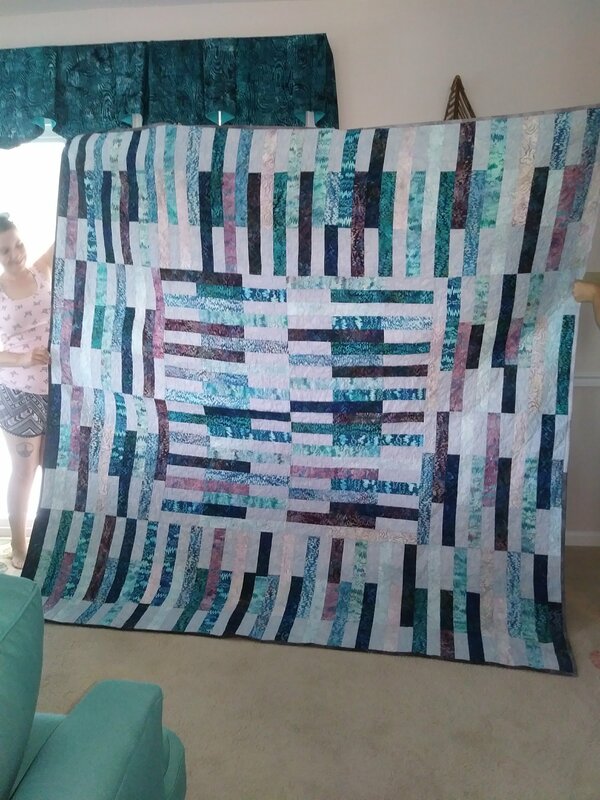 Oldest daughter helping middle daughter hold up middle daughter’s huge quilt. 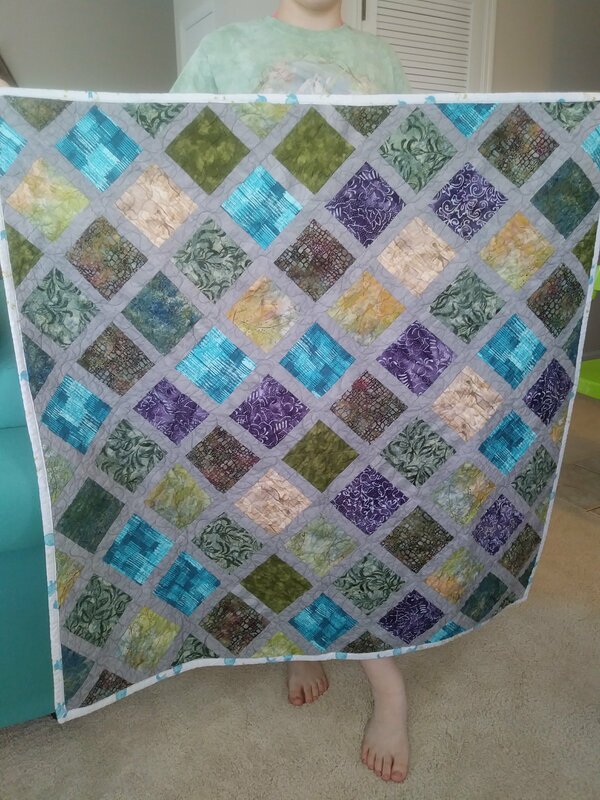 Youngest daughter holding granddaughter’s quilt. 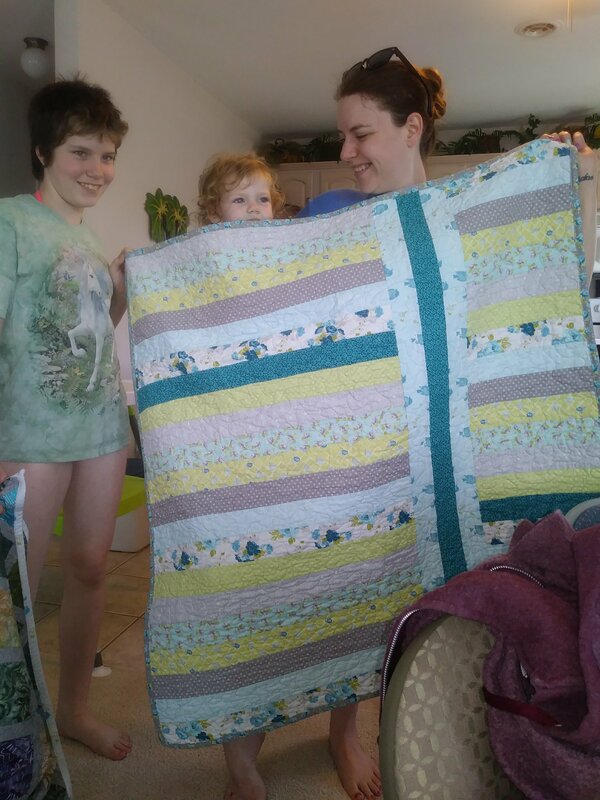 Youngest daughter, granddaughter, oldest daughter holding granddaughter’s other quilt. Then we came home and I finished this one. I pieced this quilt in ’98 or ’99, in Topeka, Kansas. I’d gone so far as to begin machine quilting it before packing it up to move to North Carolina in 2000. 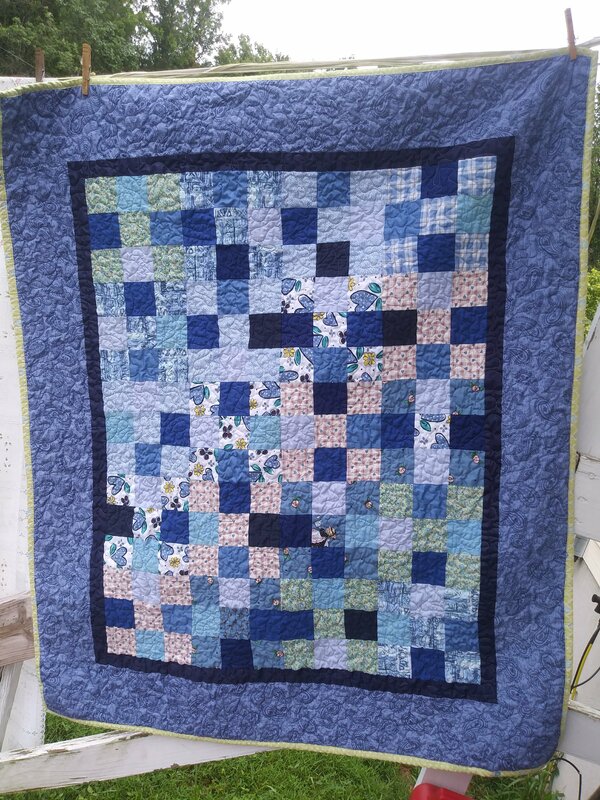 You saw the photos last month showing the ripping out of that old quilting and the new backing. I finished the binding on Friday night, and washed it up yesterday. Twentyish years later, it’s become a couch quilt in Pennsylvania. It’s a well traveled piece, and we are enjoying it. 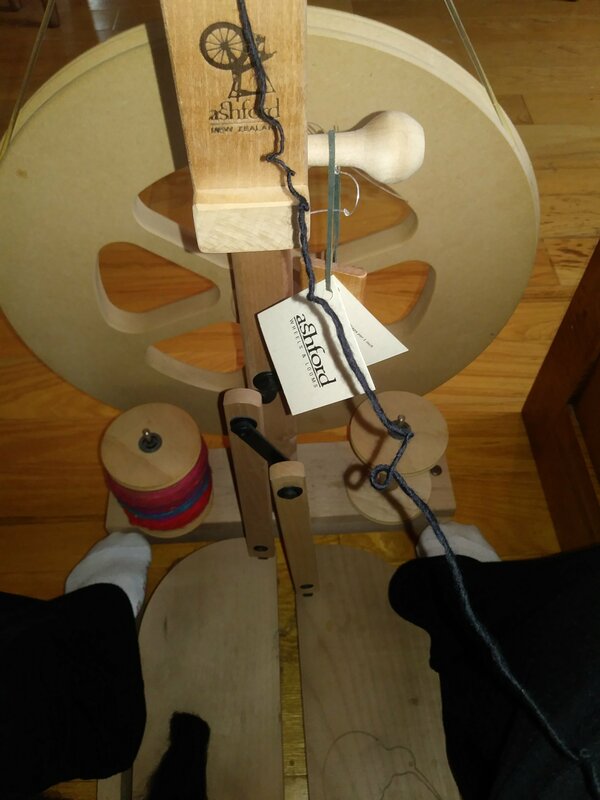 With all my actually started quilts now complete, I’ve decided to spin a while. This entry was posted on July 22, 2018, in cass makes things. Bookmark the permalink.